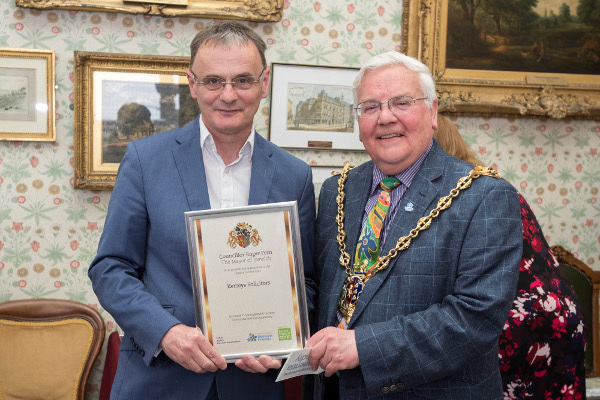 Last week was ‘Dementia Awareness Week’ Alongside this, Anthony Wooding received a certification of recognition on behalf of the firm from Ipswich Mayor Roger Fern for Kerseys dementia awareness training last year and its contribution, together with other local businesses and organisations, to Ipswich working towards being a dementia friendly town. Around 12,000 people in Suffolk are currently living with dementia, and that figure is expected to quadruple in the coming year. There were several events in the week designed particularly to raise greater understanding of dementia, the experiences of both those with it and those caring for them. For instance, a trip to the seaside was organised by the East of England Co-op, in partnership with the Ipswich and Felixstowe Dementia Action Alliances. The Ipswich Transport Museum provided a 1940s double decker bus to take people living with dementia and their carers to Felixstowe for some time at the beach followed by afternoon tea and a chat.